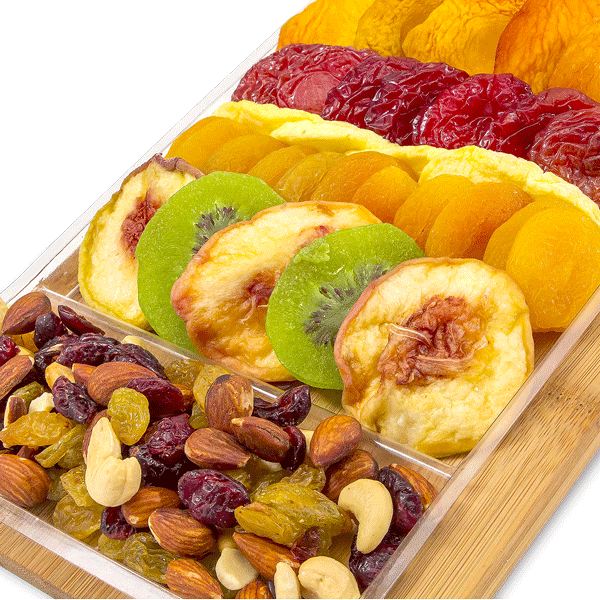 We’ve purveyed the finest dried fruit and nuts in the country to bring you this outstanding all-natural gift. 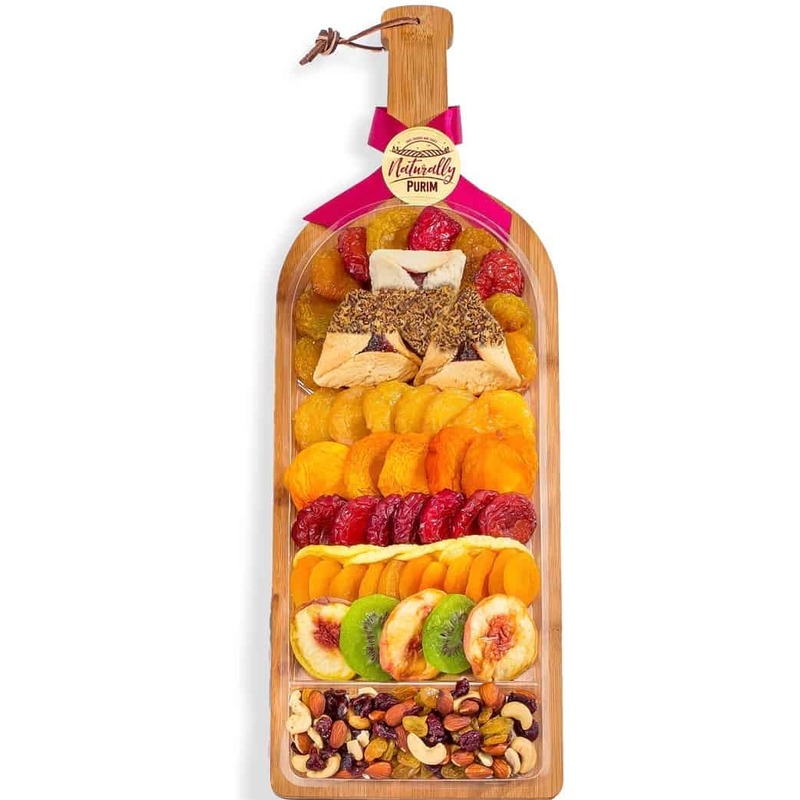 Artfully arranged on a wooden wine shaped cutting board, it stands over 20″ and makes a very impressive presentation. Perfect for teachers, executives and everyone on your list. 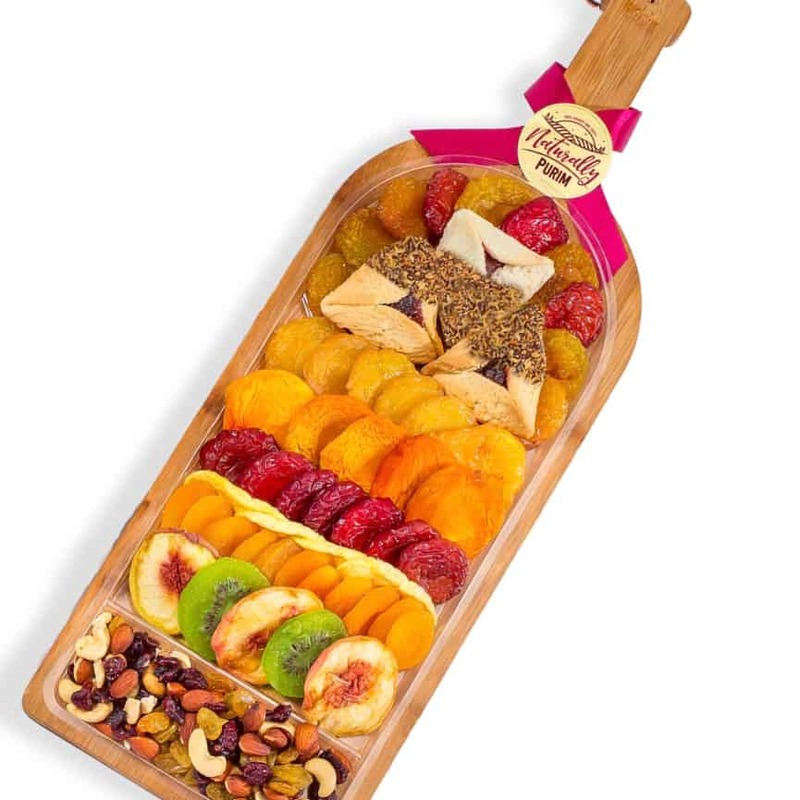 Hamentaschen: O-U and CRC, Pas Yisroel, Yoshon and Parve.